The NEW and exciting range of Power+ Particles from Mainline are a range of ready prepared particles with a difference, enhanced and activated with a choice of three feed inducing stimulants: Mult-Stim, Cell and Essential Cell! HEMP: The natural attractors of this freshly prepared and ready to use Hemp is taken to another level with the addition of our active ingredients and choice of Multi-Stim, Cell or Essential Cell enhancement. Although like all the Power+ Particles can be customised further with the addition of a Particle & Pellet Syrup. THE PULSE: This blend of perfectly prepared pulses and seeds, is ideally suited to creating a carpet-like loose feed or increase the effectiveness of any spod mix. As is the case with the Power+ Particle range The Pulse is freshly prepared and PVA friendly making it also suitable for PVA bag and Stick presentations. 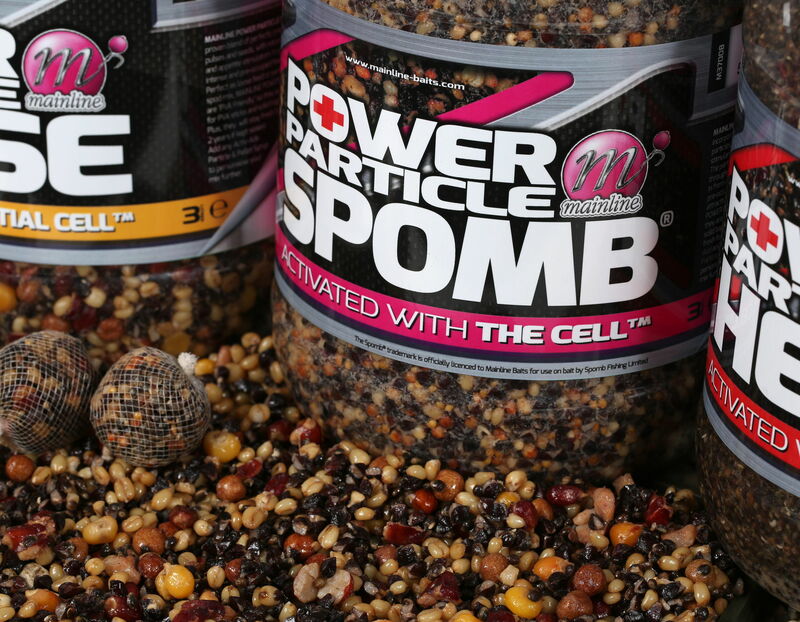 THE SPOMB: Extremely attractive at all times of year the Spomb Mix contains a combination of micro particles, pulses, enhancers and of course the active liquid stimulant of your choice. Perfect for creating a carpet feed that will stream attraction throughout the water column to draw carp from all levels. TIGERS: Perfect as a loose feed and/or hookbait option the Power+ Particle Tigers are also a great addition to any spod mix and form a superb combination with other Mainline particles. Ready prepared and packed with natural attractors along with our highly effective active liquids designed at promoting a feeding response.